RC mounting pillars are vertical structural elements of the cross-section of a square or rectangular. They are prone to carry horizontal roofing elements and intercity construction. They can have short elements that are used to carry inter-front beams or crankshafts. They are made in smooth steel formwork. They are contaminated with basic glasses and monolithized. After mounting the main roof racks and the cornea, the top of the column (node) is monolithized. RC mounting beams L and T cross-section are horizontal supporting elements of the roof and floor structure. They rely on short elements of the pillar and to the pillar and the connection is achieved through steel plates that are left in the mounting shaft and on a short element. The elements of the intermediate structure (TT flor slabs) rely on the joint of the lower part of the beam. There may be L and T intersects depending on the position in the construction. They are made in smooth steel plating. Dimensions are adopted according to the static calculation. A monolithic layer of minimum d = 10 cm is required, and a reinforcing bar reinforcement. Pre-stressed prefabricated TT ceiling used to build roof and floor slabs. They rely on reinforced concrete beams L and T cross sections. They are made of pre-stressed concrete and are adhesion-free. They are made in smooth steel plating. We offer two molds of height h = 35cm and h = 60cm. A monolithic layer of minimum thickness of 5 cm, reinforced with mesh reinforcement, is mandatory. Pre-assembled RC mounting elements of the T cross-section can be the main roof rails or corneas and serve to carry the roof structure. They are made of pre-stressed concrete and are adhesion-free in smooth steel plating offering two molds of minimum height of 44cm to 110cm. They rely on mounting pillars or main carriers, and the connection with the pillar is accomplished by removing the anchors from the element with the reinforcement of the pillar, and the additional armature joint and at the end of the assembly, The joint is monolithic. Dimensions are adopted according to the static calculation. Pre-stressed reinforced concrete mounting lattice supports are horizontal supporting elements that are used to carry roof and floor structures. The lattice truss can be adhesive or posterity overstretched. It is made in smooth steel formwork. With its carrying capacity you can bump into large ranges. Due to its appearance, it is also convenient for installing and passing installations, equipment, ventilation ducts, etc. It relies on the mounting pillars and the connection with the pillar is achieved by removing the anchors that are pivoted with the reinforcement of the pillar from the element, and the additional armature joint and at the end of the assembly, the joint is monolithized. Dimensions are adopted according to the static calculation. The Omnia floor slab are part of RC slab that can be use as formwork, as well. 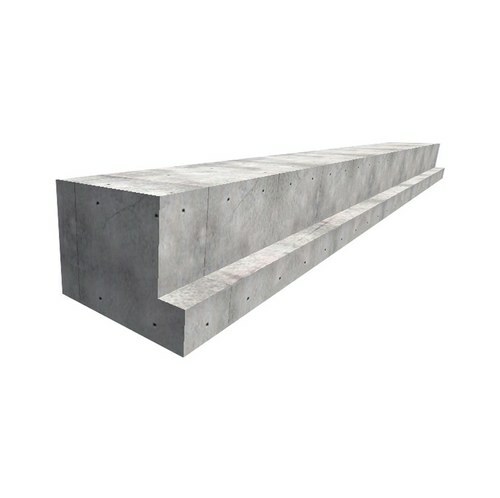 They rely on reinforced concrete beams L and T cross sections made in smooth steel plating. Thicknesses range from 6cm to 20cm. A monolithic layer of minimum thickness of 5 cm, reinforced with mesh reinforcement is mandatory.